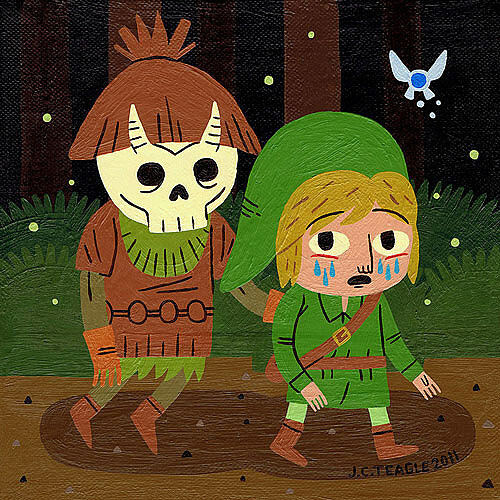 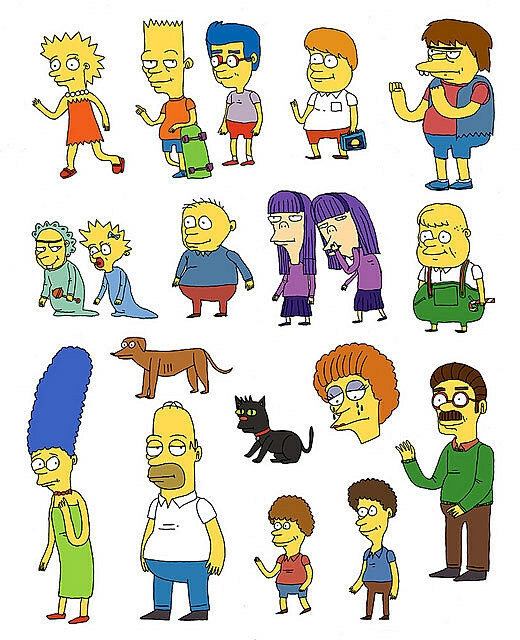 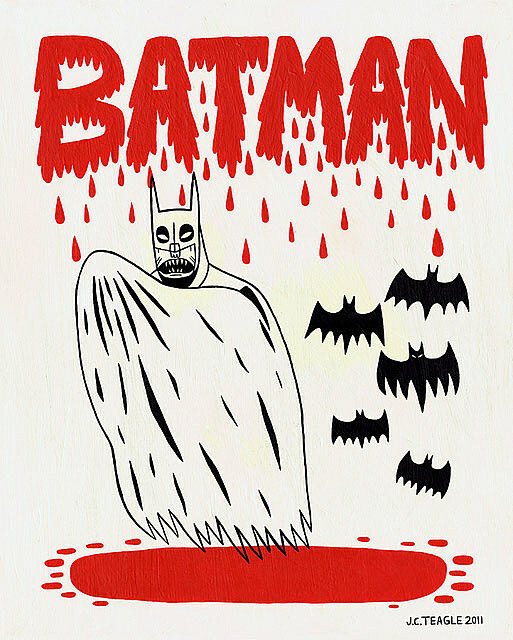 If prehistoric man had told vampire stories about Batman in their cave drawings, they would have likely adopted many of the illustration strategies used by Jack Teagle. 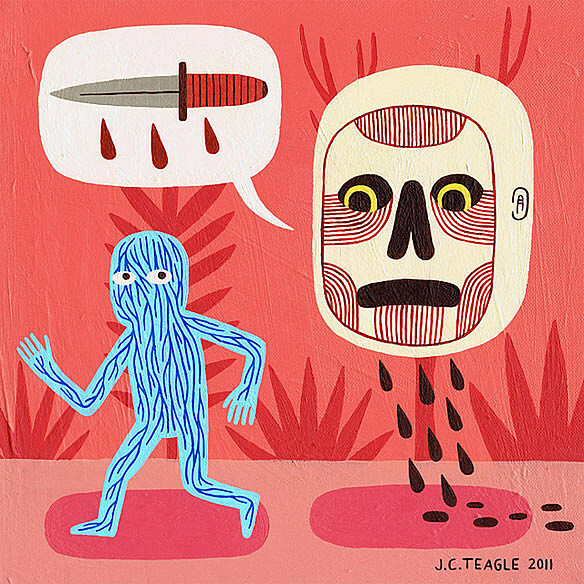 Based out of England, Teagle keeps a stoic, yet conceptually lively look about his art, which comes cut from the same calamitously juvenile cloth as the work of Matt Furie and Johnny Ryan. 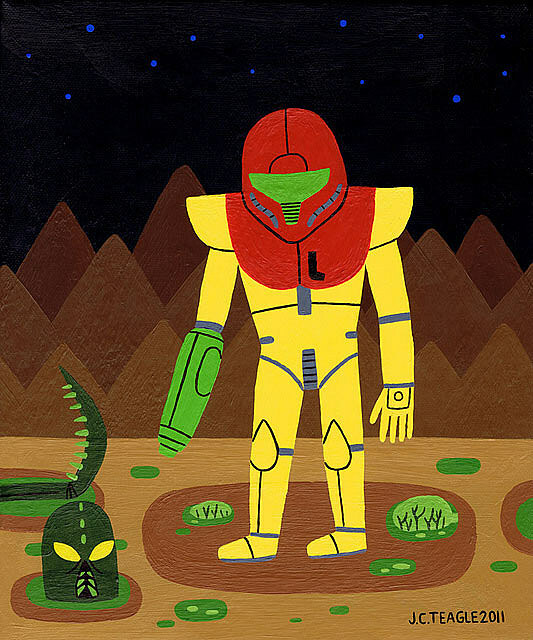 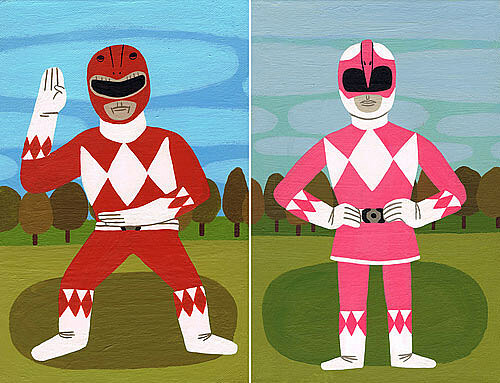 Teagle's Flickr account and website sport some anatomically stiff depictions of the Power Rangers, Link and Samus Aran. 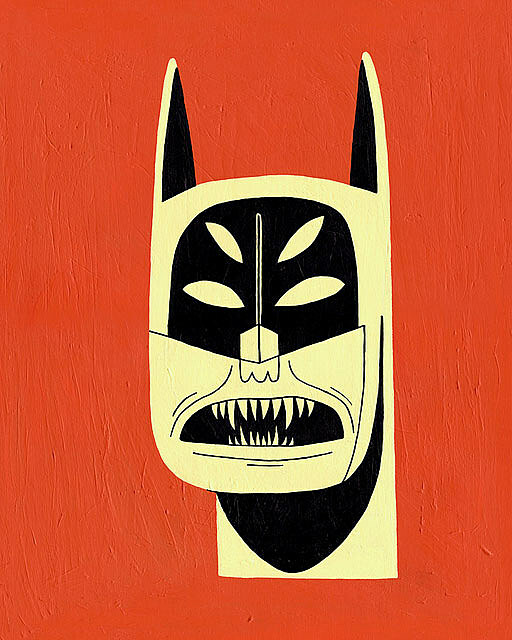 His Batman paintings bring it home, though, with extra eyes and toothier snarls that Jim Lee ever gave the Caped Crusader. 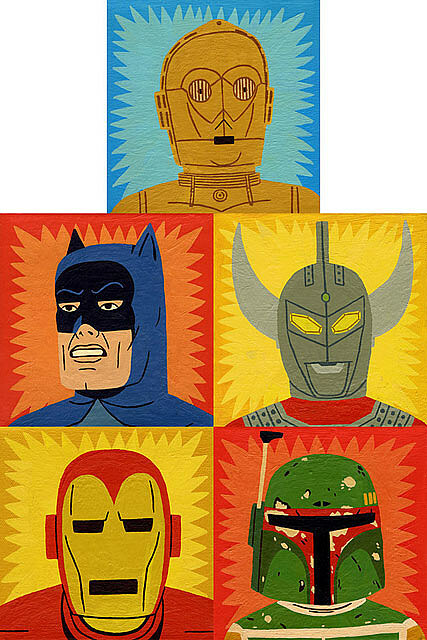 He's made bucketfuls of headshot portraits, too, featuring Robocop, Star Wars characters, Batgirl and a very angry Adam West Batman who seems to take much better care of his teeth than his bat-faced gallery-mate. 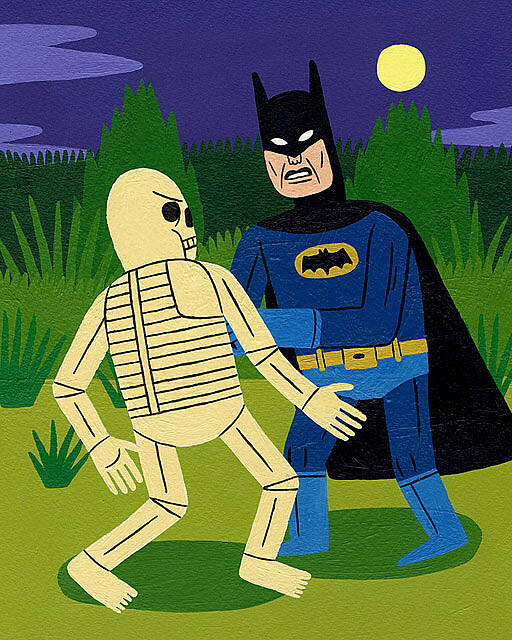 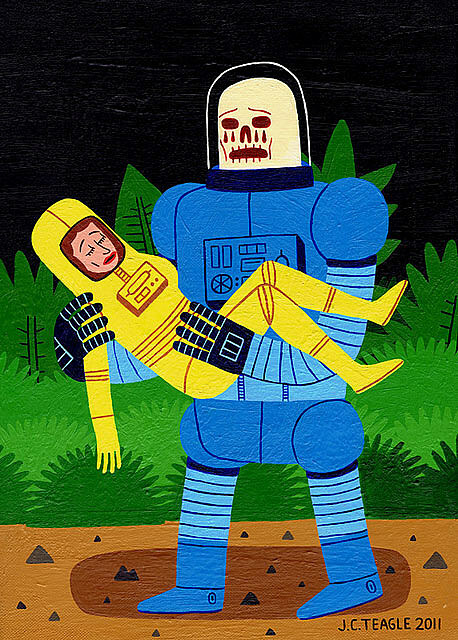 Gaze upon both of them and some slightly more conceptual pieces from Teagle's imagination below.